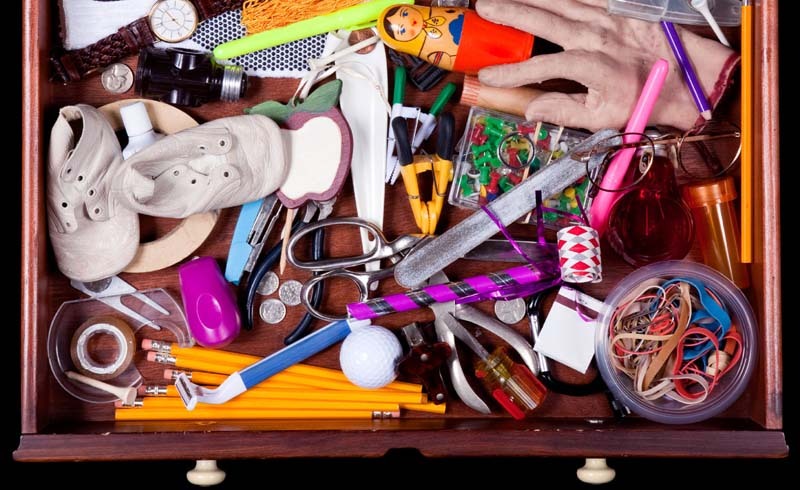 When you empty the drawer someplace you’ll get a good look at what you’re dealing with instead of just adding to the pile. 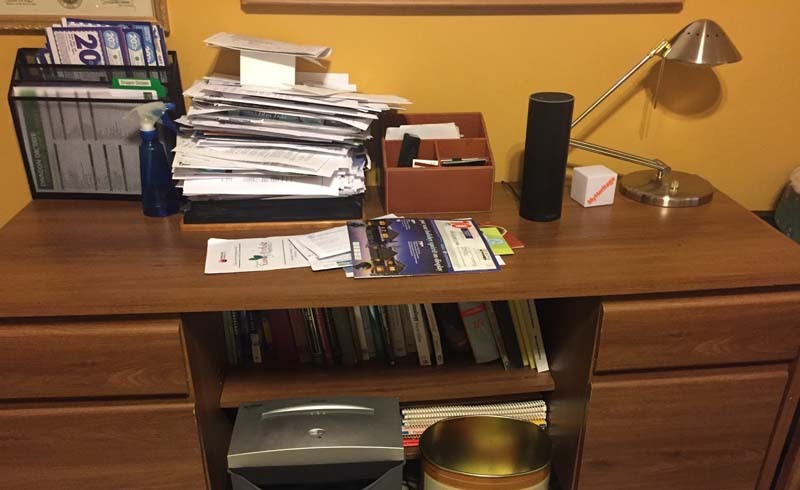 With everything spread out you can see all of the unnecessary items instead of just seeing a few when you open and close the drawer. 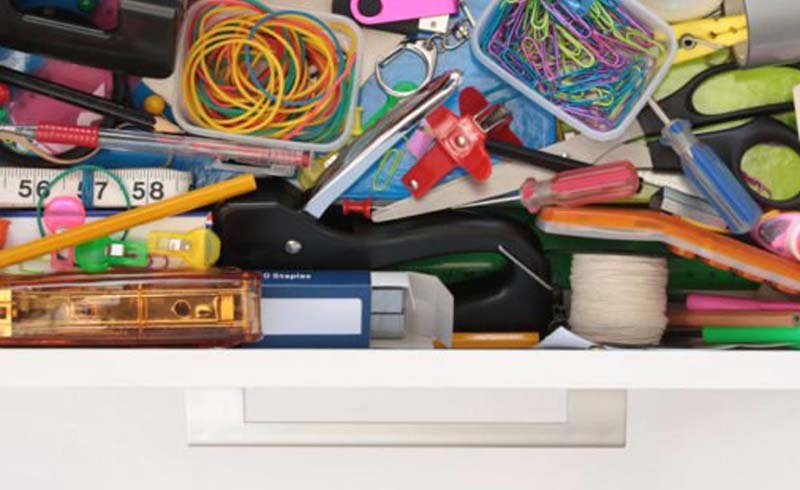 If you want to find everything in your junk drawer easily, then you’ll want to sort everything and create categories for the items. 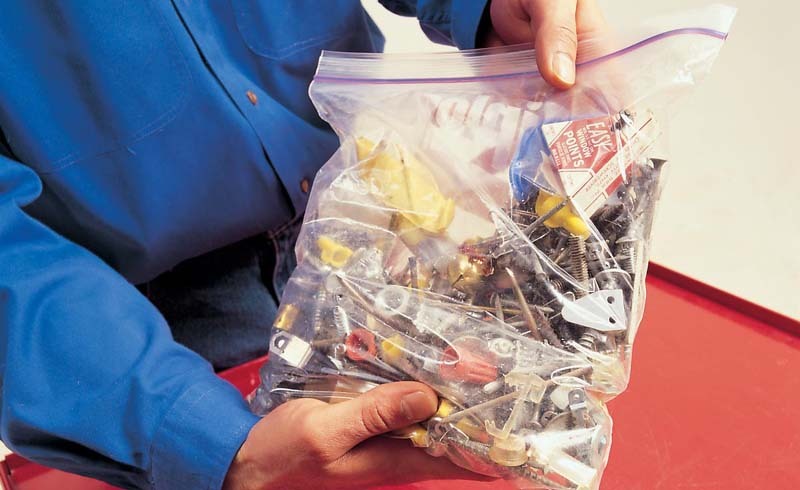 Our next tip will make it easier for you to create a storage spot for each category. 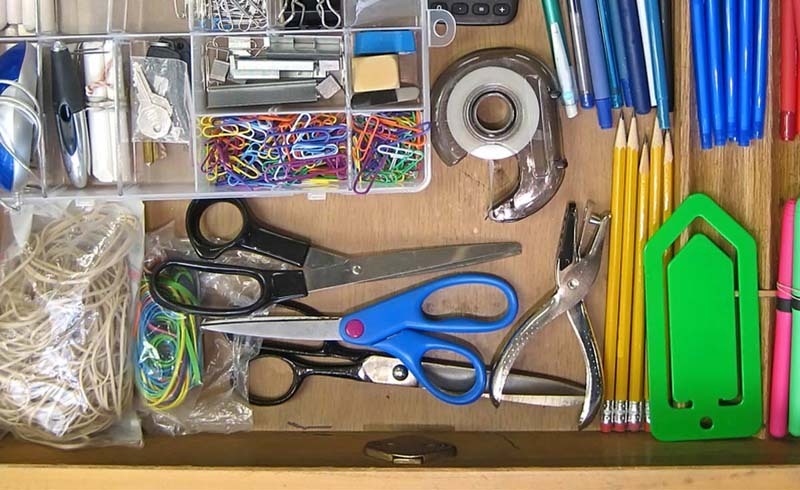 Here’s an easy way to make your own inexpensive drawer organizers. 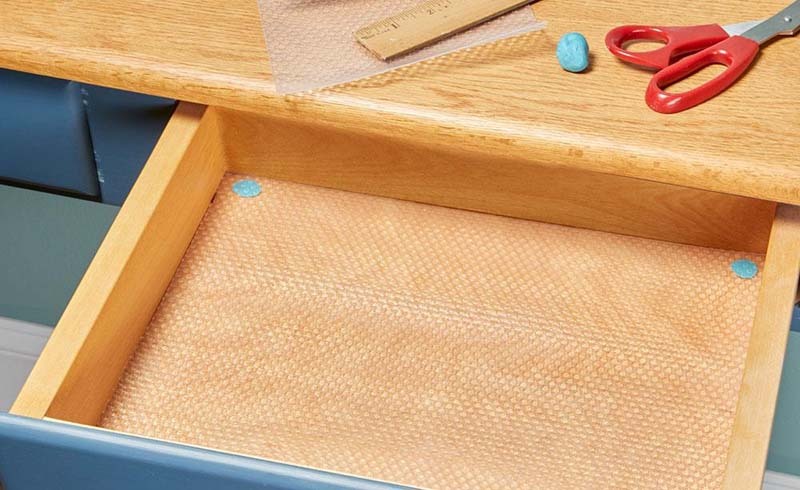 Attach thin strips of adhesive-backed foam weather stripping to the inside of your drawers (either to the sides or to the front and back, depending on which way you want your drawers divided). Then set 1/4-in. plywood strips into the drawer with the ends pressed against the weather stripping. 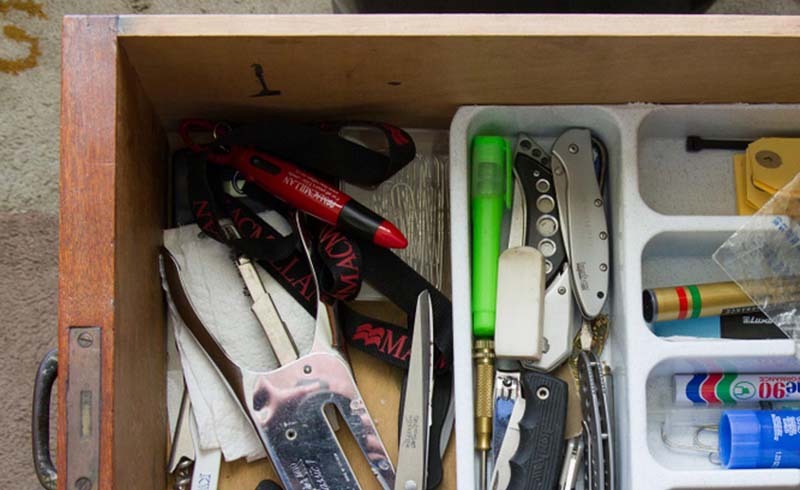 Add as many dividers as you need, and voilà—a perfectly organized drawer. 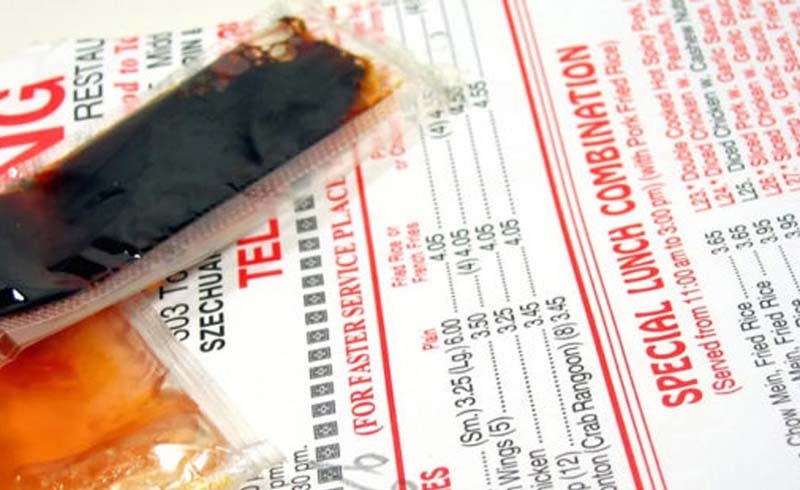 Though your takeout bag comes with a menu or two, the reality is, you end up stuffing all that wasted paper in a drawer. 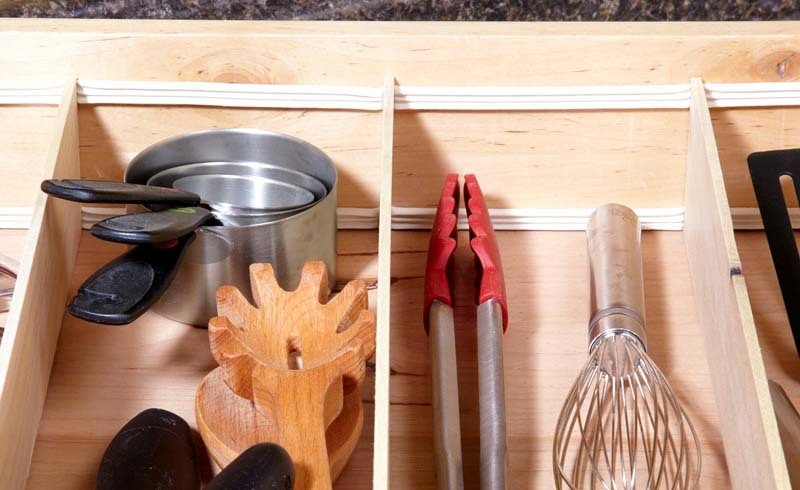 Then before you know it, menu after menu, it’s hard for you to close your kitchen drawer. Toss those suckers in the recycling bin and stick to looking up menus online. Maybe a group of pens in your junk drawer no longer work. Test them out and toss them if they’re no good. 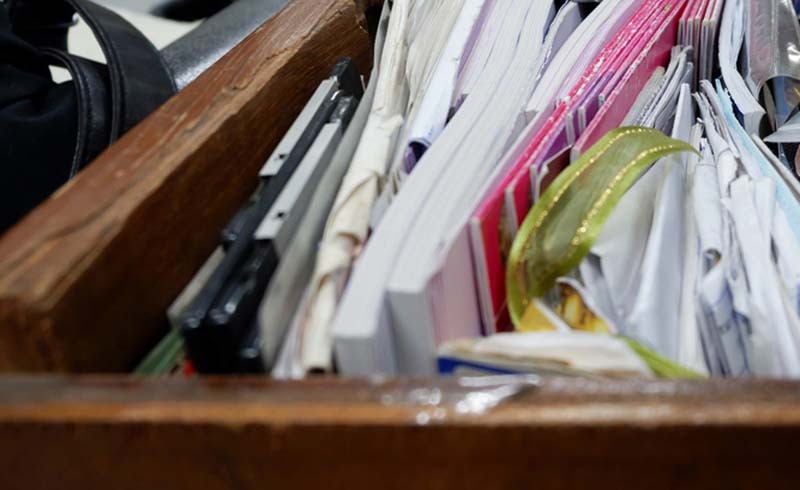 If you’ve got liquid paper from a decade ago, it’s probably dried out and it’s time to toss it. 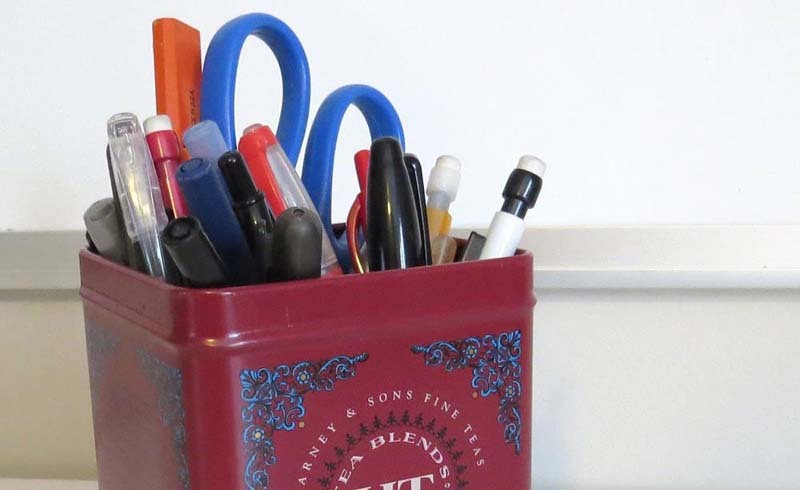 Reach into your cookware cabinet for a brilliant solution for storing office supplies. 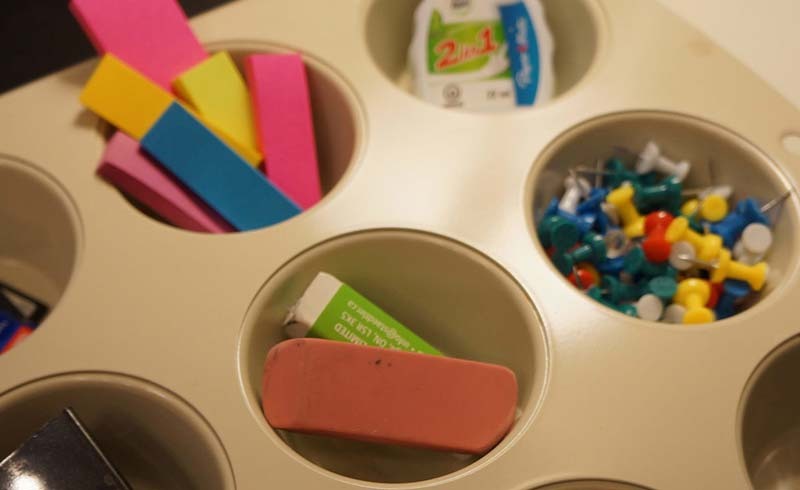 Muffin pans are perfect for corralling thumb tacks, paperclips, erasers, etc., all the things that usually end up strewn about in the junk drawer.